Jake grew up farming the very land that he and Abby farm today. Abby started homesteading in 2006 after she finished college and, in 2009, began farming commercially with Jake. After five years, they moved to Jake’s family farm and transitioned the pasture-based animals and hay fields to organic. 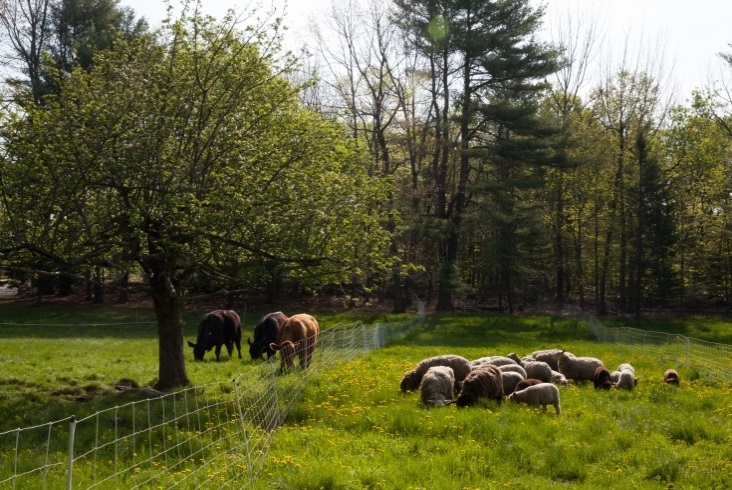 Today, Apple Creek Farm in Bowdoinham, ME, consists of 45 acres of pasture and 70 acres of hay on which Jake and Abby raise organic goats, cows, sheep, chickens, turkeys, and geese. They believe that Certified Organic best reflects their philosophy and the animal welfare practices of their farm. They continue to farm organically because they know consumers make the connection between certified organic products and healthy food raised without genetically modified ingredients or hormones. 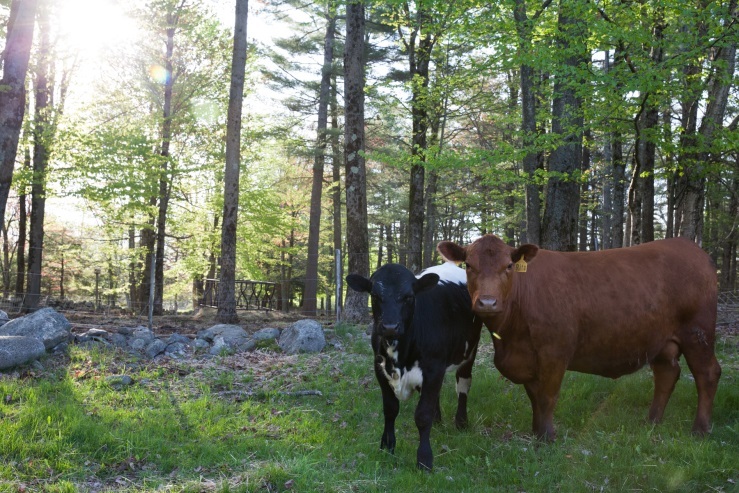 There is tremendous support for farmers in Bowdoinham and the surrounding region, and the Bowdoinham Community Development Initiative’s “neighbors-lending-to-neighbors” program has allowed Jake and Abby to steadily grow their organic animal business. They have two year-round farmers markets nearby and robust customer support. Chickens provide needed fertility to continue to improve the soil quality and increase yields of our pastures. In addition, we are able to grow more than 800 birds a year and sell them year round, which is critical to our farm’s cash flow. We use our laying hens to clean up weedy areas of fields and scratch them up in preparation for reseeding. Abby & Jake’s operations are very local and grassroots. They said that, “we sell 90 percent of our products at farmers markets. We market primarily in Brunswick, Maine, and wholesale eggs there to local foods stores on a seasonal basis. We meet new customers through social media and word of mouth. We encourage customers to refer new shoppers to us and collect emails at all our markets to build our email list. We use Facebook and Instagram to share the farm with others and offer an open farm day once a year,”. Find more information here!